Sneaky peeky DAY 4- INSPIRATION GALORE – And, OF COURSE, a chance to win! Winner of our $25 voucher for this post goes to…. 272- ANGIE you win! Please email me with your information so I can send out your VOUCHAH! Congratulations! Hiya sistahs! I have been reading all of your comments and am SOOOOOO thrilled that you love this release ALMOST as much as I do 🙂 ALMOST.. I need MORE enthusiasm, a couple of squeals, a leg in the air, a twirl and maybe a little song for you to be closer to my level of excitement about it 🙂 GOT IT? I expect VIDEOS with the display described above LOL. We have anothah EDNA sistahs… this time she did manage to put down the chocolate. She was NOT happy about it .. In fact, she gave me an EARFUL about it.. but I needed to set some rules. Time to wash down all the chocolate with a little detox tea. LOL.. or Earl Grey.. This image will have a corresponding “CUT IT OUT” die. 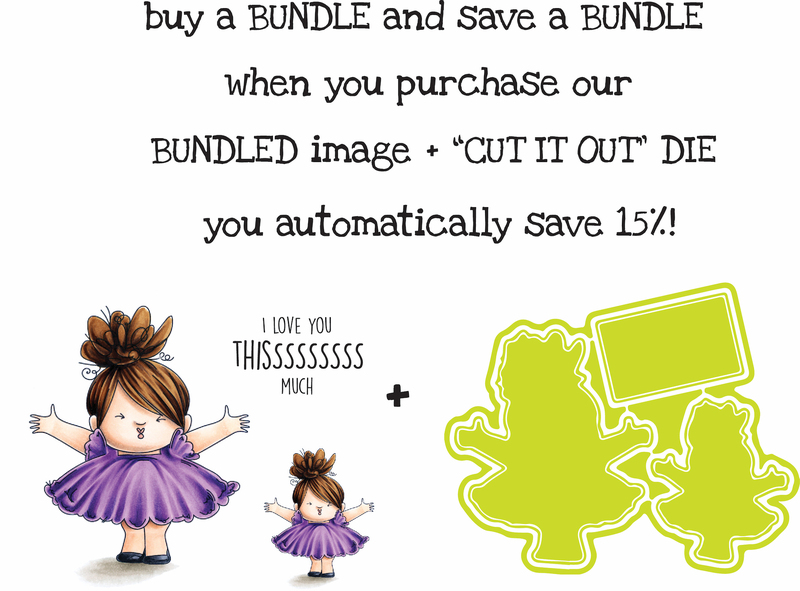 And will be sold as a BUNDLE as well to save 15% when bought as a bundle! 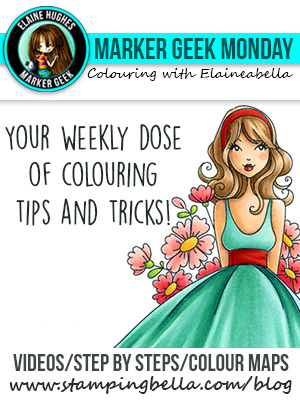 Elaineabella filmed the colouring process for us, which you can watch in the video below or in HD over on her YouTube channel! and some inspiration to go with this image? Let’s see what our baberoonis made shall we? next up we have UPTOWN GALENTINE girls.. What’s a GALENTINE girl you ask? Basically a Galentine girl spends time with her bestie single friends on Valentines day… they order take out and eat ice cream 🙂 SEE? It’s not always sad to be alone on Valentine’s day when you can be a GALENTINE girl and celebrate GALENTINE’S day! until Paulabella got her hands on it LOL. she texted me..
“WHAT THE HECK are you talking about Paula, I studied them.. I passed them to Elaineabella who coloured them.. then I looked at them again.. then my girls in the warehouse drooled over them…” There is no way there’s a line missing. But not to worry.. all fixed. and my amazing DT made amazing cards despite the error we all didn’t notice! and now when we discuss it and look at it we’re like OMG how did we miss that. Has that ever happened to you? meet KISSING BOOTH squidgy.. because EVERYONE should have a kissing booth! Whenever you get upset about something just go behind the booth and pucker LOL.. that would cheer anybody up. This kissing booth reminds me of Lucy from Charlie brown with her little booth with the sign “THE DOCTOR IS IN”.. remember that? Meet Kissing Booth Squidgy (I don’t know why I was so boring when I named HER.. she coulda been pucker up squidgy. HMPH) . Isn’t it nice how I think out loud ? Like you’re here with me in my living room! 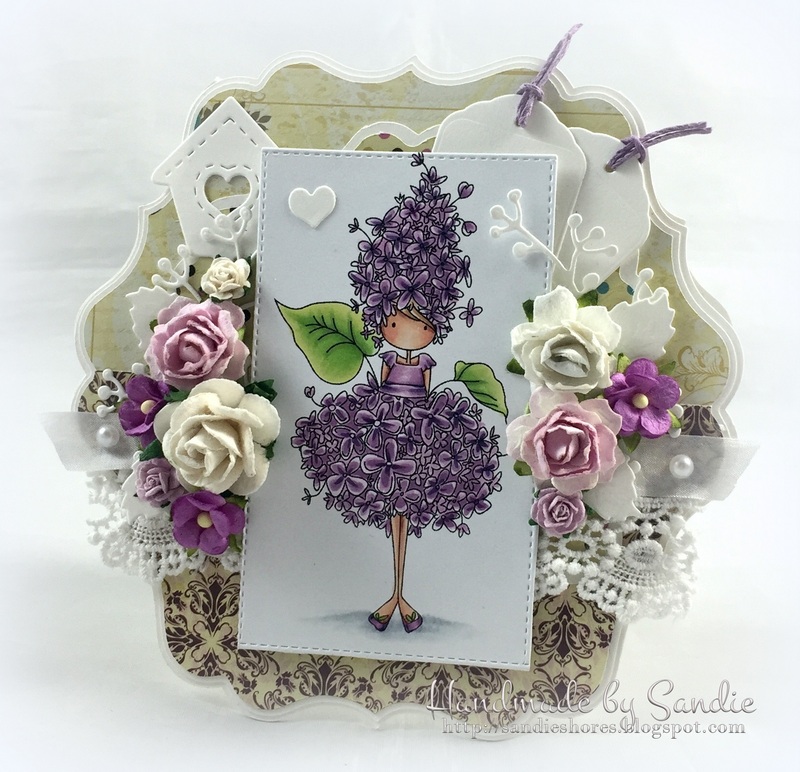 Here’s Shelabella’s card using our little lilac.. love her signature white highlights! And the sentiment? 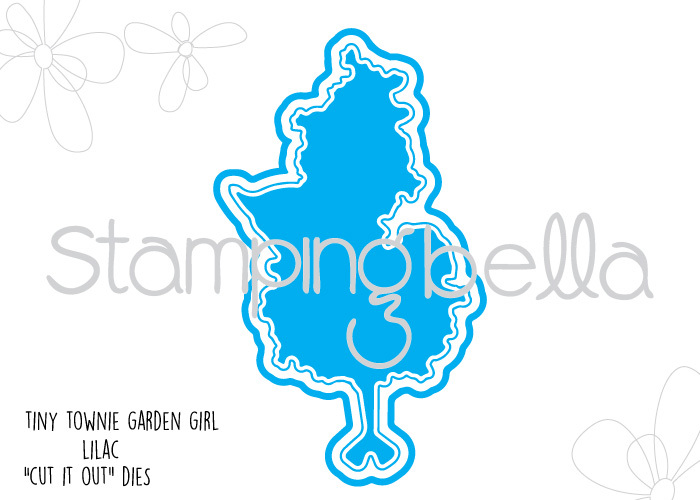 From our Garden Girl Sentiment set! Love that set! Sometimes is I see a cupcake it makes me SOOO Happy that I wanna hug it too 🙂 Sigh.. I love sweets. and now for some amazing inspiration! This card is so versatile for birthday, valentines, hello.. you name it. LOVE! last for today is a BUNNY WOBBLE!!! 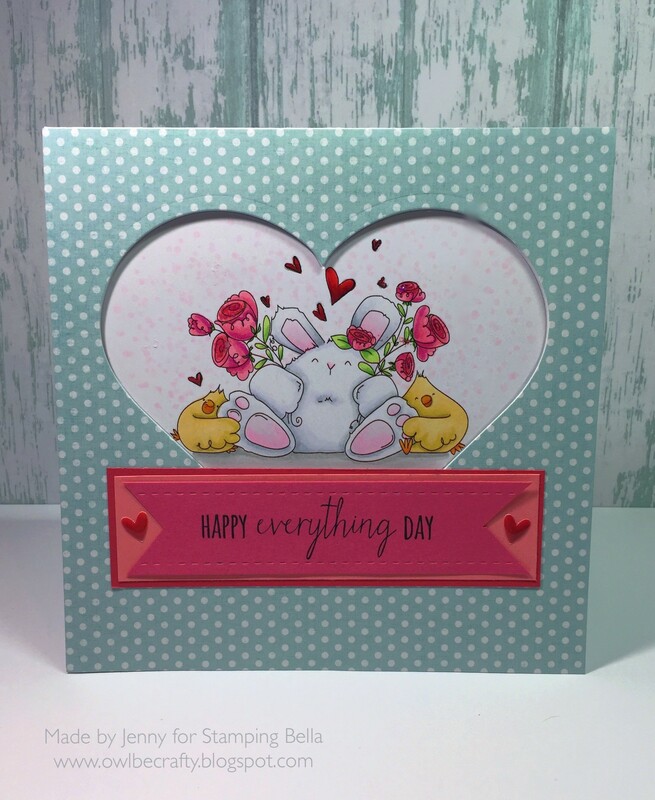 Meet Happy Everything Bunny wobble.. ahhh the chicks.. and that sentiment.. LOVE! Are they not the CUTEST? and yes.. every day should be HAPPY EVERYTHING DAY.. I’m declaring it! and of course some inspiration! 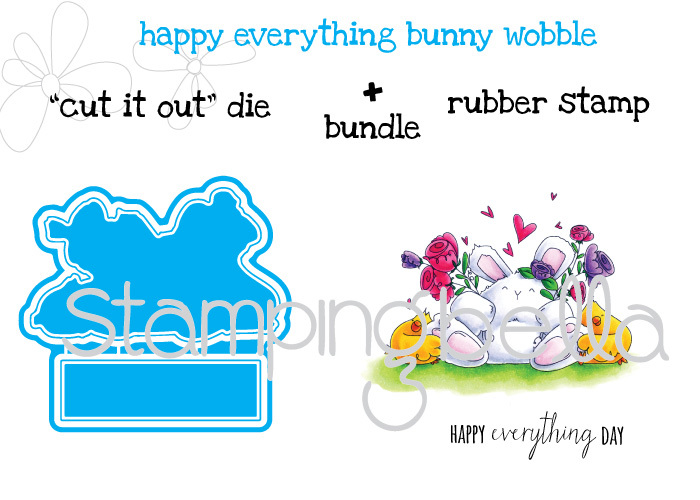 Here’s Jenny’s HAPPY EVERYTHING bunny wobble card. Leave a comment on THIS POST for a chance to win a $25 gift voucher to our shop! Previous Post Sneak Peek day 3- LOADS of inspiration- AND a chance to win! 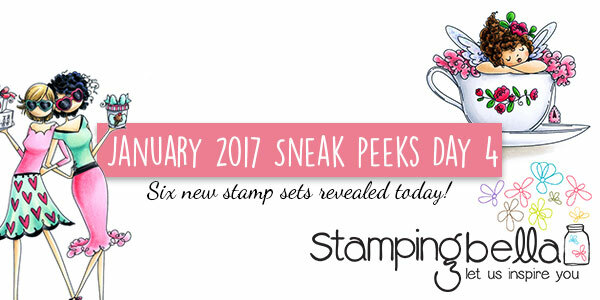 Next Post it’s Stamping Bella’s release sneak peek day 5 sistahs!! Almost at the finish line!- Oh and a chance to win! No wonder you were bouncing up and down! Such fabulous goodies today! Oh my heavens the lilac townie is too much with her head full of blooms. What a riot! Our favourite Squidgy has found employment doing what she does best! Love it all! oh my golly that kissing squidgy booth is sooooooooooooooooooo stinkin’ cute. Soooooooooooooooo cute. Love the squidgies. OMG so cute and adorable! 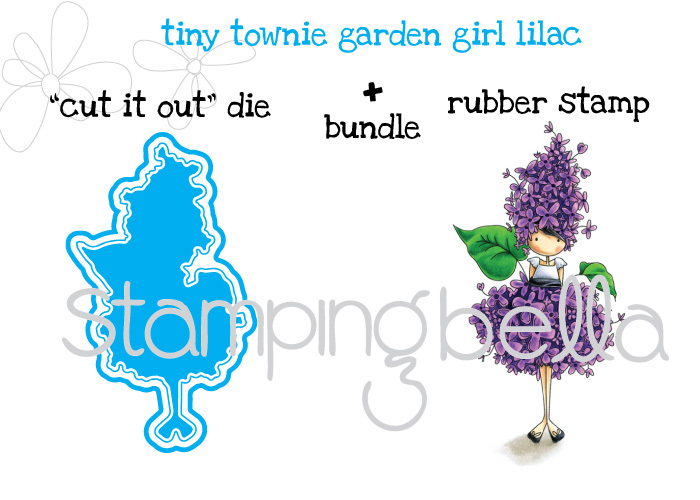 Love the Tiny Townie garden collection and the new Uptown Girls! ?? 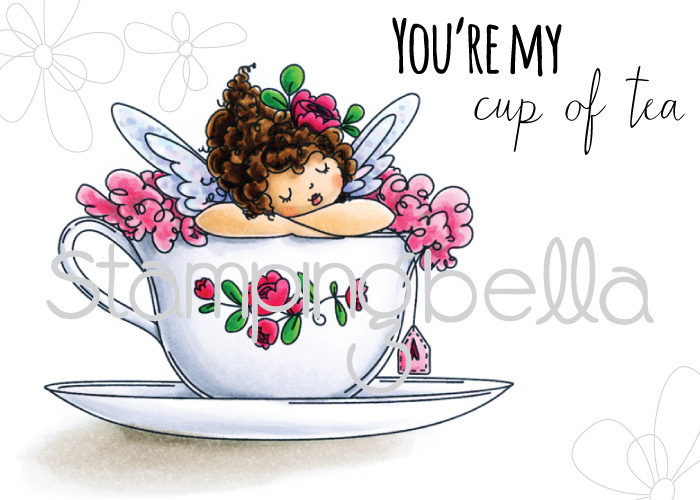 Love…your my cup of tea!! All the new releases are so pretty! Oh Boy! More Squidgies and a new Tiny Townie! I want them all! Each time you do a release…I can’t choose just one! Love the bunny and chicks and the kissing booth. I love reading your blog posts and seeing what you’re thinking. It’s a lovely place to be lol. Still not awake enough to squeal too load but your email popping into my inbox is my wake up call atm. Omg love both of the tiny townie girls! Lilac is so super cute and Sammy is certainly sweeter than sweet!! Inspiration overload? Yes I should say so!! So much to comment on… Edna is probably having a sugar crash after eating all her chocolate but I hope the tea helps her feel better. She is so cute in her curly hair! Smooching Kissing Booth Squidgy (sp?) is so darling! I’m sure the boys will be lining up to get a taste of her. It’s too bad that her tip jar is empty. I’m just sure I saw Edna running away with the cash on her way to the chocolate store! Sammy really is sweet as can be! These are all so darling! Here’s a personal share: I just got my second order in the mail yesterday and I already have a wish list that’s longer than my arms and my purse strings. I can’t believe I’ve just discovered your cute stamps and I’ve been a crafter for more years than I dare to admit. I must have been living under a rock! Your posts are so fun to read and I just adore your stamp images. You have a design team that totally ROCKS too! I’m so glad I climbed out from under that rock and am now happily enjoying your sweet images in my card making. This new release is awesome, love wobble bunny! I love the new girls with the flowers, they are wonderful combining my two favorites flowers and the girls. Love the kissing booth and the new wobble bunny! OK…. my list of ‘must haves’ just ran off the page!!! MORE wonderful images……… more fabulous colouring……… just WOW!!!!! Love the all! The kissing booth and cup of tea would be my tops! Lilacs, kissing booth and GALENTINES?! More wonderful choices! *sigh* This is another amazing offering! I surrender to adorability! Every sneak peek if full of potential super card ideas and I can’t wait until tomorrow! Well, my heart just stopped at the sight of Lilac Girl! SWOON! Such a cute release. I love the teacup stamp. Its just so adorable. oh how sweet they are.. it will be hard to chose .. the Rabbit is a must have. 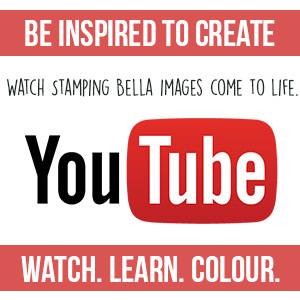 Thanks Bella for creating such awesome fun stamps. Awesome designs love that they have dies with them. 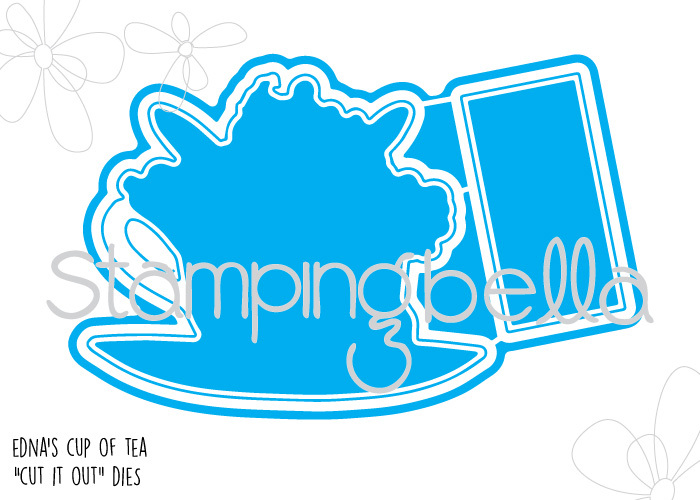 your new stamps are surpassing all expectations and just my cup of tea : ). I’m just glad I have a birthday coming up soon my wish list has already begun (note to self a3 paper needed for wish list). Seeing all these great new products along with such beautiful, amazing coloring is a double treat. So much cuteness!!! Very excited to see a new uptown girl, I was beginning to feel a little sorry for them for being left out. Lol. I love Edna, she is so fantabulous! Some much to add to my wishlist!!!! Can’t wait for Monday ? I am squealing with excitement over here! They all look adorable, although, little miss Lilac has me doing a dance in sheer delight-my favorite flower since I am a May baby! MUST – BUY-ALL-SQUIDGEES-NOW!!! They are all so cute! They are all adorable! I can’t choose! Love them all! I love this release! Galentines, Edna, the kissing booth?! So many great images! So cute. Thanks for the videos. Very inspirational and instructive. Love that kissing booth. OH UH AH… They are SO VERY CUTE!!!! I just really love to craft. Where do I begin to decide which ones to get. As you add more and more everyday the choices are becoming harder and harder. I have been retired for several years and might have to think of looking for a job!! LOVE LOVE LOVE ALL THE NEW RELEASES…. Hi Em! Love reading your posts and all the personal touches you include. I am with you all in on the coffee!! I use a French press which is a lot like your aeropress (except yours has a filter which I would like) and that milk frother is wonderful! But, stamps win over frothers, hahaha! Another great release day! 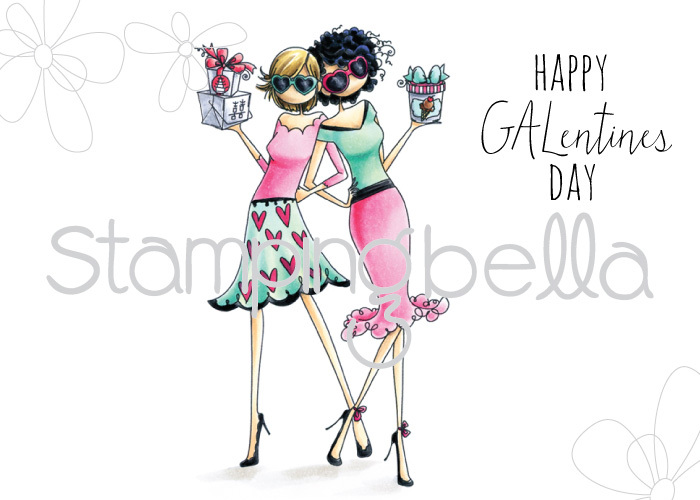 Love the Galentine girls so much for their cuteness and the bestie message….twirling over that one! And the Lilac…my favorite! Love that you are doing less common flowers! Maybe you will squeeze a magnolia or gardenia in as the series grows?! Can’t wait for your release to go live!! SomeSistah or SeveralSistah’s have been very busy designing such spectacular Bellas for us to feast our post- holiday eyes on. I can’t just pick one as a favorite, so I will just say Lilac is lovely and alive in my imaginary fairy garden. Sammy is the cutest, especially with my fav red hair. And finally, I do love me some Happy Galentines Day! The two besties definitely represent me and several Gal Pals (in our imaginary sleekness) celebrating this special day together pampering ourselves with chocolates, ice cream, and the works, because no one deserves it more! Thanks for spoiling us woth this beautiful release of Bellas! Squeals of delight! This has been such a great release! Loving kissing booth and happy everything bunny and the fun and quirky and such beautiful coloring and projects….. oh my! LOVE!!!!!!!! It is all so awesome! 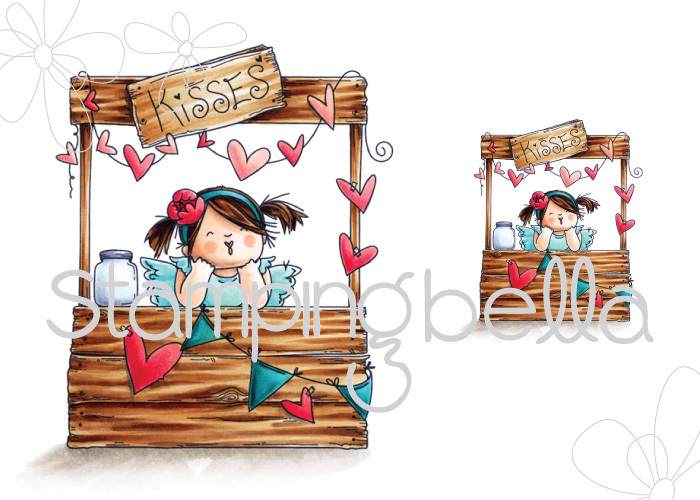 These are all wicked cute, I love the kissing booth! 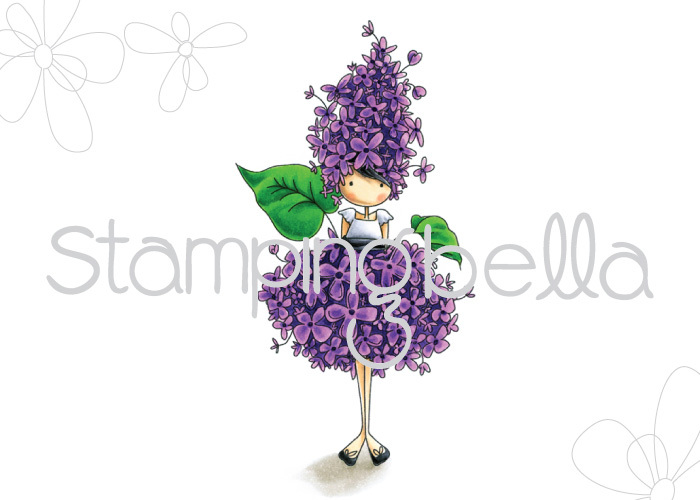 I am glad to see a Bella stamp in this release but the Tiny Townie flower girls are edging out my love for the Bella’s. The card samples are gorgeous! These are all so gorgeous! That squidgy is just the cutest little character ever… Love her! I love the Galentine’s image too, so girly 😀 Tiny Townies are always my favourite as well! So many gorgeous images! Ooh, so cute!!! I love them all. Amazing new images!! This has got to be the most fun part of your days. Opening these emails is mine!! Thanks for sharing them with us!! Oh my goodness these are fabulous. Love the garden girls! Omg…..i love them all. Such great work ladies. Oh my goodness… everything is so fantastic. The kisses booth and the bunny! Great release sneak peak today! These sneak peeks are killing me! I can’t wait-so many good stamps in this release! I love the lilac and Sammy is sweet! Thanks for all the great videos! I love every single image in this release! The kissing booth is so much like my granddaughter and she is from Rochester, New York known for it’s lilac festival. Wow! I am loving this squidgy release and the godmother!!! The kissing booth girl makes me smile & the bunny with Happy Everything is such a sweet Image! LOVE THEM! So difficult to choose just one, however, I’m drawn to “happy everything” . You captured to look of love in the little chicks hugs and face. What more can you possible have in store for us! While trying to do a twirl at today’s release fell and feet are in the air. Love them. Can not wait until tomorrow. AWE another day of utter cuteness!!!! 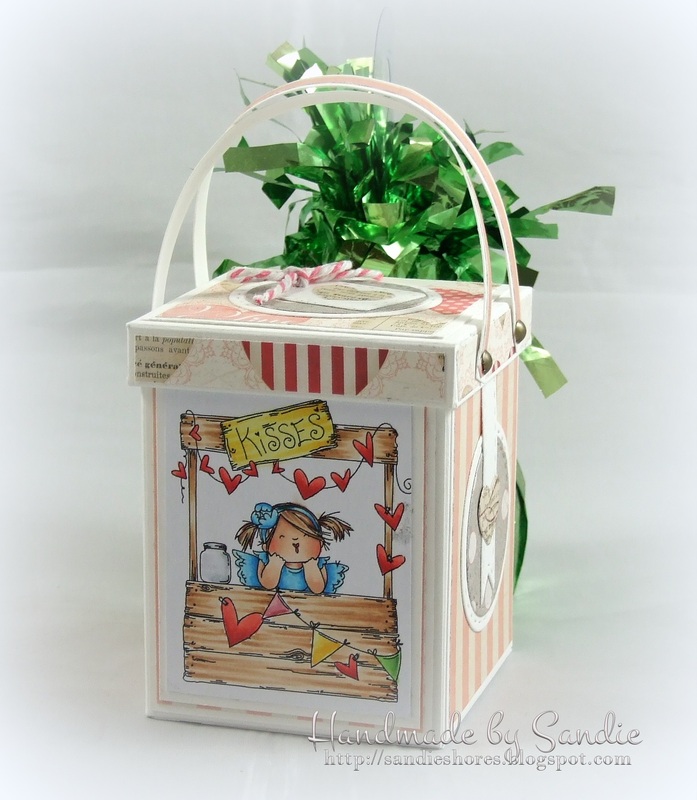 Oh my goodness, just so much sweetness going on with these new stamps and dies! I love them all but my fave is Kissing Booth Squidgy and Sandie’s adorable box! I’m always stalking pinterest and youtube for box videos to house the Pysanky eggs that I make for friends and family. I am going to have to take out a small loan to buy everything that I want!! I just CAN NOT believe the Edna stamp! My youngest daughter is getting married in August and her sisters and aunts are giving her a “tea party” bridal shower and of course they have asked me to make the invitations. How perfect…… The lilac flower girl just takes my breath away, love it! The Kissing Booth squidgy is adorable. Again, you have hit it out of the park. Thanks for the chance to win! Ok Ok…. back flips goin on here!!!! Love the booth!!! Please stop with all the cuteness (not really). Gotta run though cause NEED to look for a second job to get ALL I WANT/NEED!!! Awww! Another wonderful release day! Especially love the “Happy Galentines Day” girls and the Happy Everything Day Bunny and chicks! Just priceless! All these Valentine theme ones (and the Edna and her tea) are fantastic! Love the galentines! It will be mine!! Oh my goodness, Edna in her teacup would be SO PERFECT for my friends Sharon and Rebecca who don’t like coffee, but both love tea! I just can’t decide which is my favourite! So adorable. So adorable, so many choices…what to do? Another great day of releases…Lilac and the bunny are my favorites! Such a cute release for today, love the bunny and chick and the DT cards are all so amazing!! Wow! The kissing booth!!! Love! These little squidgies are just too stinking cute! Love the kissing booth! And I’m lovin the little bunny too! Thanks! All I can say is adorable!!! a TON more ammaaazzzingness! where do I begin??? oh I know…I love absolutely all of it! Loveeee your stamps!!! This release is just adorable, dream to color these in watercolor! Love love love bunnies and chicks, and the kissing booth! So cute! Charming as usual, real day-brighteners! Yay!!! Too cute. Love them all…!!! I love all these. They are super cute. Impossible to pick a favorite. Impossible!!! Oh TT Sammy sure is sweet but TT Lilac has stolen my heart for sure! Lilac is my number one flower scent, that’s why I have a huge Lilac right outside my front door. I adore how you piled the little blossoms on her darling little head, SO cute! 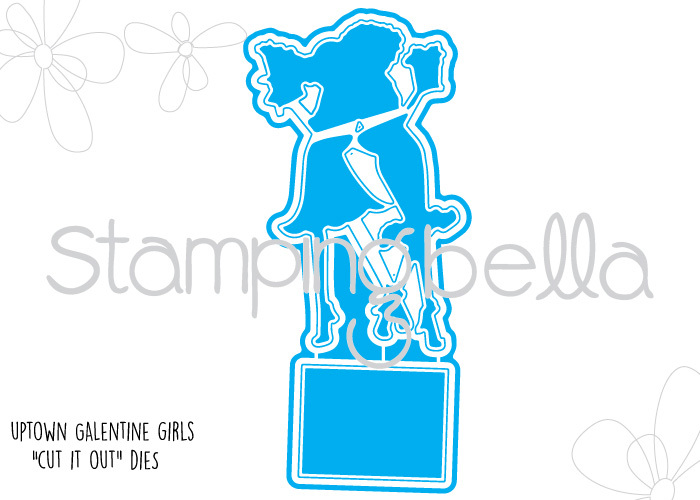 I love the new Valentine’s stamps and dies! Very cute!!! Cannot wait for this new release… ALL of the new stamps are adorable and i can’t wait to get in my order… LOVE the princess stamps!! So many cute stamps!!! I think Edna is hilarious! I love these, just in time for Valentines Day! Love love love!!!!!! I can’t wait!!!! Bunny and chicks for me please! And Edna is in a cup of Lady Grey (because she is a lady) if it is before 6pm and chamomile if it is after, maybe with a piece of Turkish delight? Love all of these stamps?????? OH my gosh!!!! I absolutely love every single one of these!!! There goes my bank account! 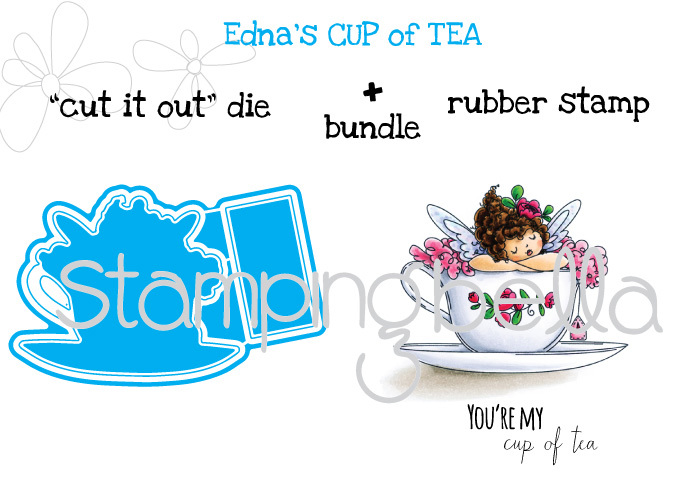 Edna is my absolute favorite– her in that tea cup is TO DIE FOR!!! LOVE! LOVE! LOVE! You really knocked it out of the park with this release this time (although I might feel this way every time). I just love the girls with flower clothes and must get some but the Kissing Booth Squidgy is a must! She’s my most favorite of the release thus far. I would love to own everything released today. All so cute. Wow! They just keep getting better. Another great release. My shopping cart is overflowing. The tea cup, so cute. WOW! Bunny Wobble and his chick friends is my favorite today, followed up by Tiny Townies and Edna, and the rest of the peeks today! What can I say, I love them all as usual! Love these! In my mind, Edna can do no wrong and I love every single one of her images! If I was behind the kissing booth I’m sure my jar would be empty too. I love love these stamps! Brings me a smile just looking at them! Wowzer … I squealed and jumped around… and maybe let a little wee out!!! (That enough excitement for you??) Today’s releases are my favs so far… I NEED the tea cup and the uptown girls Defo for a starters… ? Oh my gosh, Em this collection of stamps and dies are amazing. I especially LOVE – Kissing Booth Squidgy as she looks just like my grand daughter! Too cute. Thanks for the chance to win your giveaway. I absolutely love them all, I am looking forward to the 16th. So stinking cute!!!!! My list is getting longer!! I’m really loving the Tiny Townie flower girls…so adorable. The bunny & chicks…what can I say except LOVE THEM!!! Eeeeeek! I may have to un-retire and get a job because I want EVERYTHING! But then I wouldn’t have all the wonderful free time I have now to play with all these new goodies. See what a dilemma you have caused? Edna is such a babe-a-roni! (Like rice-a-roni only more babe-a-licious!) Em, your posts make my day! If you lived in Des Moines we’d def be besties! ? NO! We’d be GALentines gals! (I crack myself up!) Love all the newbies, my fav so far are Edna, the Galentines, Sammy and Bunny Wobbles. Cuteness and budget overload!!! (I’ll just have to get another job to support my habit. Heeheeeeee!) Thanks for the awesomeness! You have outdone yourselves. I just can’t decide what I love the most! The bunny and chicks are so adorable though…. and sleeping in the tea cap is darling. my legs would really complain. SO cute! I love the bunny and the chicks! Too much cuteness!! Edna’s cup of tea is darling and I love Garden Girl Lilac! But I have to tell you , Kissing Booth Squidgie instantly brought back happy memories – when I was a kid I made a kissing booth for my parents and dressed up as Snoopy (remember… Hug a Warm Puppy 5 cents!). Thanks for starting my day with a warm, fuzzy smile! 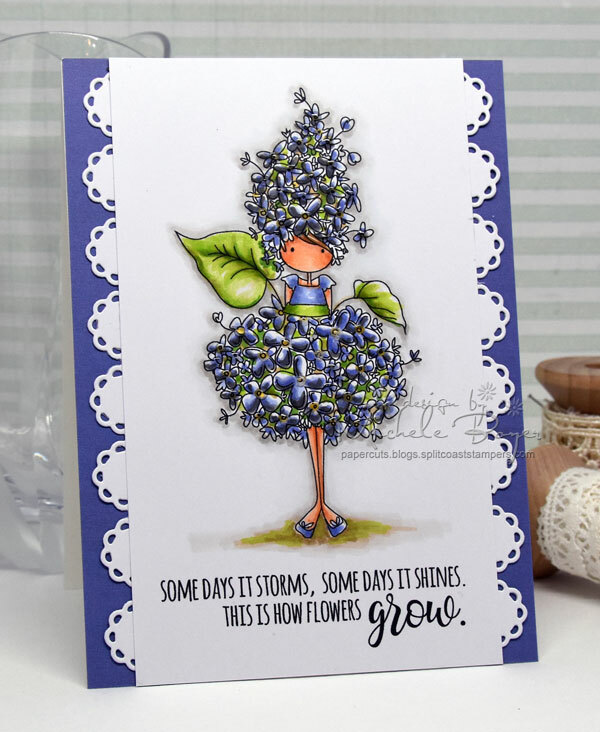 Love the lilac girl – She is adorable – When I get the set (and I know I will) I thought of punching out some flowers and giving her a 3-D affect. Please, please, please can we have a yogi Edna, maybe doing downward dog? Loooove this release. 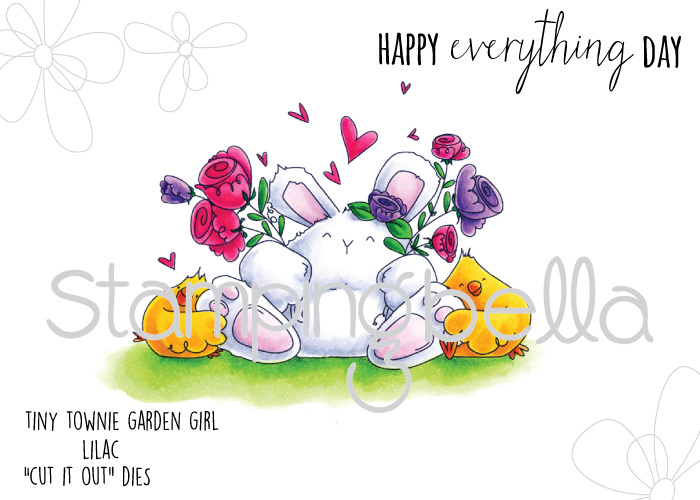 love love GARDEN GIRL LILAC also like the Bunny a TON, dying to make a whole garden card with all of the new flower girls!!! 🙂 Thanks for the previews and chance to WIN! OMG,the Lilac Tiny Townie is just perfect! I really have to get that one! Emily, another delightful day of releases. It will be very hard to choose which stamps I want! Love them, love them, love them. Wow! How do I choose! Love them all. I love the lilac townie, I have lilac’s on the north and south sides of my house, they are incredible when in bloom. Love all the rest on this on this days preview also. I can’t, hardly wait for jan 16. Thank you for all your many gorgeous stamps. Another fabs bunch of happyness. I WAS jumping and bouncing around, kicking…well no, not that…not limber enough…but, be thankful there are no vids of that little performance. I’m so in love with all of the new goodies. Just send everything and get it over with. REALLY wish I could. Loves. Thanks for the yumminess. The only problem with these is that I LOVE them ALL, but I don’t have an unlimited budget!
? What is there to say??? ? You are all fantastic! ? ? ? All the questions marks should be music notes … well dang. My shopping list growing again! Love it all. There’s not a card that i don’t love! i want them all! 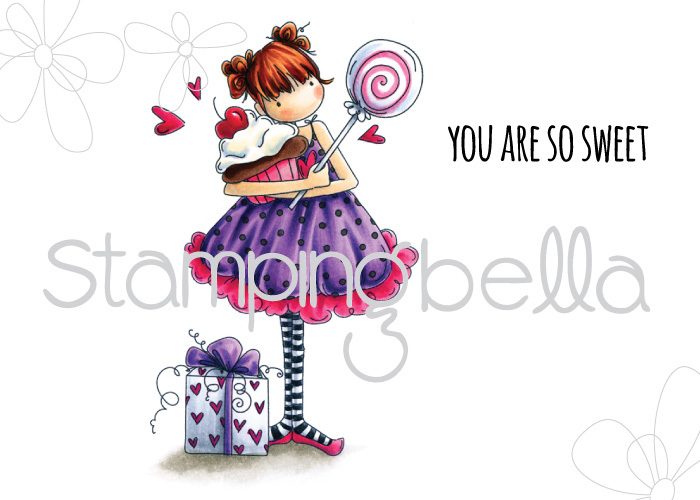 and I’ve always love every single one of your stamps, they are so much fun to color and make cards out of. just can’t get enough. i still have so many that i haven’t use and so many more that i want to get from old releases. But this time i want to get them all even when we are broke! yeah, love what you did with all those cards. I even want the cards for myself. lol. just can’t stop the love! love, love, love, love them all! Can’t wait for them to come out so i can get my hands on them. thank you! Well I didn’t think this release could get any cuter, but it DID!! Wow…I just love all of it!! Every day, I think you can’t outdo the day before… and then you DO! Awesome creations today! Love Tiny Townie Lilac! Oh, my word! My list is getting longer! Such great stamps!! I just love love love these stamps. I have to tell you, you had me going on the “line missing on the take out box” I thought is was a word missing, and I thought- it is to small to see, so why does it matter that there are words missing. Then I went back and saw where the line should be. Then “WOW” it jumped out at me. HEE HEE. But all in all I do love all your ideas and all the DT cards. They are great. Thanks for all the inspiration you give us crafters. Hugs to you. There goes my money love everything lol! what a darling release! Love it all especially the “everything bunny”! but each set is adorable! Thanks for the chance to win! I love tiny town lilac. I’m so getting her! And galentine gals they will be coming home with me on release day. What wonderful new stamps. 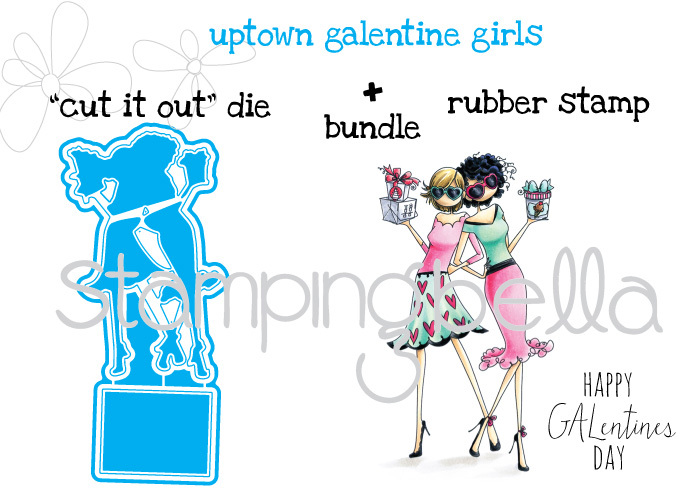 I am a big Uptown fan so I love the Galentine girls! The Tiny Townies have also joined my house so they both are adorable too. I love Edna’s Cup of Tea. I am sure we have all had days just like that. Great job by the DT ladies. I can’t wait for the ordering day. I just love them all but my favorite is tiny town lilac!! Oh boy my wish list is growing!! These images are just too fun! They just make me happy! OMG – the releases are not evn close to being ovr and so much to drool over! Uptown Galentine: she’s holding a Chinese Take out n ice cream – how could life be better. This post certainly mde my day!!!!! Ok, And I thought the new stamps couldn’t get any cuter than the last 3 days… I admit it, I was wrong. These are so AMAZING-A-BELLA! I love them all so much. Lilacs are my most favorite smell and love the new flowered themed girls. I can’t wait to see more and more and more. 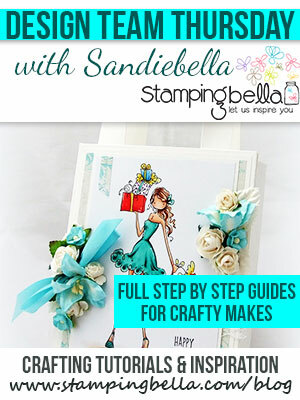 My birthday is in March, so I’ll be asking for StampingBella! STOP it already! (Not really) You’re killing my pocket book! Couldn’t think of a better place for it to go. Always look forward to sneak peeks and first Tuesday of the month. Like most of us sistahs, I want it ALL! Thank you for all the adorables! Another day of pure JOY! Seeing all of these cute as can be, adorable in every way images! The DT brings then to life with their amazing coloring and designs! Can’t wait to play with some of these little darlings!! All I can say is wow! These are all gorgeous…Edna and Squidgies and Townies…oh my! Self-control where art thou??? Oh my! I absolutely LOVE Edna napping in her cup, which previously contained some Tazo tea of sorts. Love, love, love! And Squidgy? Ahh, kisses abound–she’s adorable! I would fill that jar up with jewels to show how valuable each of her kisses are! 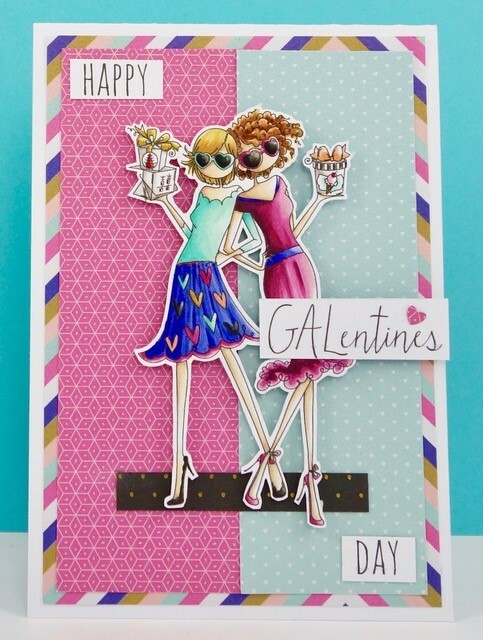 The Galentine girls are so ka-ute; love this idea, and their stylish and loving stance. And the excitement doesn’t stop! Woo hoo! I love how the design team brings each image to life. They are so talented. I had a similar situation at work just a couple of weeks ago. A very obvious error by passed many people. I really love the new Tiny Townie garden girls. Can’t wait for my lilac bush to start blooming this spring. Fun ~ Fun ~ Fun!!!! The samples are inspiring! They are all fabulous. Definitely can’t wait until Monday so I can buy them all! Emily, I’m not sure that I can take much more teasing of these images. ARGH! Oh Heaven, Frothy cream or milk with my Java is delicious! Pass me a cup and let’s go color these Amazing Cuties! Love the kissing booth! All of these are so cute and unique. Way to go!! Love all of them! Cannot wait.. watched all the videos and the bundles are perfect.. great new releases for 2017 already! I cannot wait to buy many of them. Monday is a long ways away, haha. So happy you have the dies now too, makes life so much easier. Also, can I thank you for the coloring ideas, and shading. So nice to learn something new, daily. I love my nespresso milk frother too! Those galentine girls are exquisite! Oh. My. Goodness. These are the cutest. Love that you have dies now – less fussy cutting. Edna and the bunny are my favorite but love them all. And I could sit and watch Elaine Hughes color all day. Umm, I may have actually done that from time to time. OMG!! My mother in law would just flip and be tinkled pink over your Edna’s cup of tea and the Kissing Booth Squidgy , the Tiny Townie SAMMY IS SWEET, and the Happy Everything Bunny wobble just makes me so giddy with delight!! I can’t wait to get my hands on them so I can color them all up for all my family and friends!!! such a great new release; being partial to bunnies, the new one is adorable! So cute!!! I love the imagen of bunny. More cuteness everyday. Love them all. Going to have trouble choosing EM. You enabler you. You have to stop with the cuteness! This release is so awesome, love Lilac girl, Ok, who am I kidding, love all of it. Kissing booth, bunny wobble…., and totally laughed and smiled at your blog post today, would love to be able to sit with you in your living room, you would be the best friend to have!! Beautiful stamps and great creations from the DT! Love it! Waaaaw, this stamps are supeer cute! I love all of them! Thanks for the gorgeous release and I can't wait to order some new stamps. excitement. lol LOVE that garden girl lilac!!! I love the new stamps. I am always looking for fun stamps that can be used for seniors in nursing homes and for children that are hospitalized. Keep up the great art. LOVE the new stamps. Edna in that tea cup is so precious. Can’t wait until Monday! The hits just keep coming! 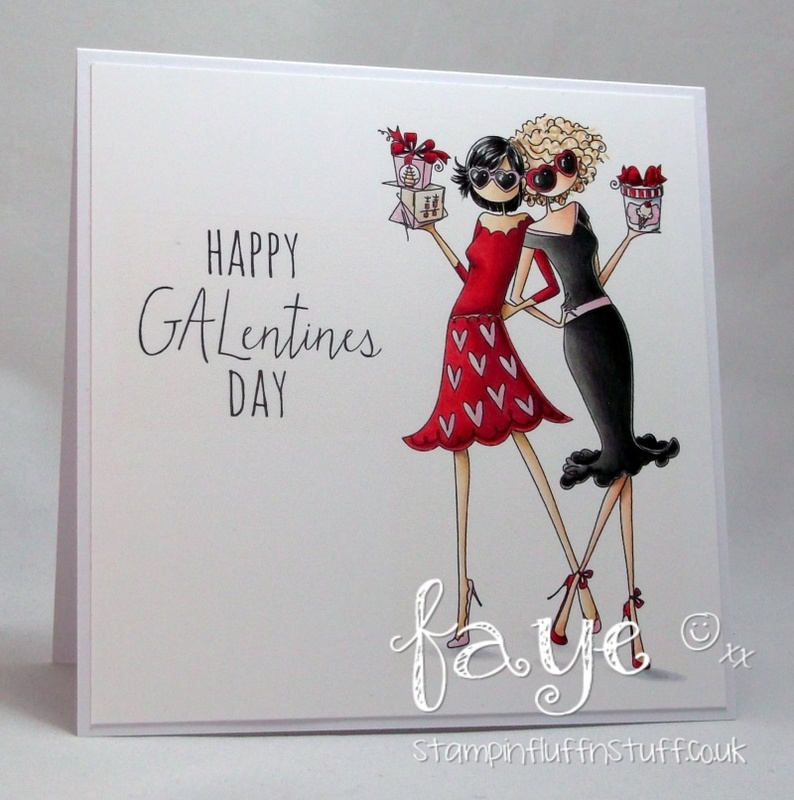 Love Galentine girls soooooooo cute. Head over heals for the bunny and his pals the cute chicks. The lilacs gal reminds me of my childhood home our driveway was lined with lilacs I think I can smell them now. Thanks for the memories. I’m not sure how I could choose a favourite. Oh man. How many sneak peek days are there? I’m in big trouble. I want them all. You should do a bundle. Every day gets better and better – these are all wonderful images and dies! Oh the lilac tiny townie and the galentines MUST come home to me! Again the squidgy is my favorite!!! So cute!!! Loving them all. Creating some space for new stop order. Loving them all. Creating some space for these wonderful pieces. The Garden Girls are great and now you have added Lilac. *SQUEAL** Lovin’ the new releases. Uptown girls are my FAVORITE!! OMG! I seriously am going to have to get a full time job to buy all these new cute stamps – and definitely don’t need anything full time so that I can make all the cute cards! I’m so conflicted! 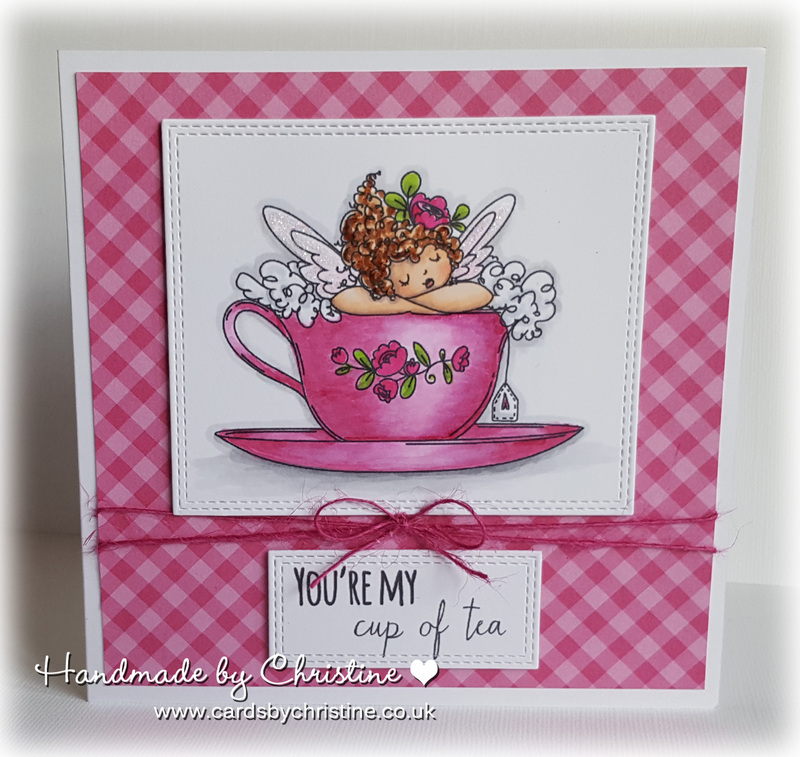 I am loving these stamp with dies so perfect!! These are all too cute. Love them all. Could this release get any CUTER???? OVERLOAD!!!!!!!!!!!!!!!!! I love love love all your new creations, Edna and Tiny Townies are just adorable as are the little bunnies, chicks, etc. Oh my word, I can hardly stand it! The best sneak peek ever! ….Gasp! I’m both speechless and breathless (because I was doing some high-step jigging and jazzing, and gleeful-little-girl-style applauding – standing at the kitchen counter, so plenty of room to cavort about) while scrolling through your post at the images showcased today by a DT that is out-of-this-world stellar in their creativity…as are you, in designing such incredible products! Standing ovation! Wild applause! In awe! And yes: inspiration overload x a zillion! I love the townies so much! And I have to say I just want to squeeze those new little girls each time I see one! Oh Cheese & Crackers, I don’t have enough Christmas stocking money for everything I want!!! 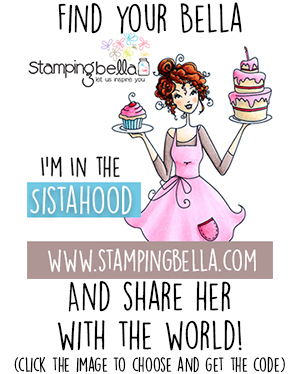 StampingBella is a stamper’s DisneyWorld! It’s my happiest place on earth! Thank you bunches, all you talented little “Tinkerbells” for providing us with so much inspiration and the tools to make it happen!!!! Oh My Goodness..so stinkin cute..Winter Blues, so this brings Spring, Easter, Bunnies, Flowers to ones soul. Too cute.. I love them all! That bunny is just adorable! Oh my some really cute ones coming out. I cannot wait to own some of them. ? Where do I begin?! Love it all, the Cup of Tea, Lilacs, Galentines!!! Just too much love! How could you guess? My favorite flower and our family mascot! A bunny hoppers! I look forward to your stories. The card samples are beautiful. Well the happy everything is the best. And how can you resist a squidgy. Thank you. Okay i make my frappes with a mr coffee frappe machine. Sooooo good? Wow!! Best day yet. Love everything. Edna and her cup of tea are adorable. The Bunny wobble is so sweet . The card ideas are beautiful. Thanks for a great day of inspiration. So many wonderful new stamps to choose from…. They are all great, Especially love the Squidgy. My colleague thinks I’m nuts to get so excited over stamps each day. Loving that there are matching framelits! I like the garden girl series! Have to say I love Ednas tea cup as I love everything tea, and lilac for the same reason. Every now and then I get a little mixed up between what are my wants and what are my needs. However, not this time. I absolutely, without a doubt NEED the kissing booth stamp in both sizes! They are all so darned adorable as are all of your stamp sets! I would give about anything to have one of each of all the stamps you have ever created, I do have a spare kidney…lol. Love all of these and cannot wait to buy them. They are amazing. All of these new ones are amazing. The DT did a fabulous job. 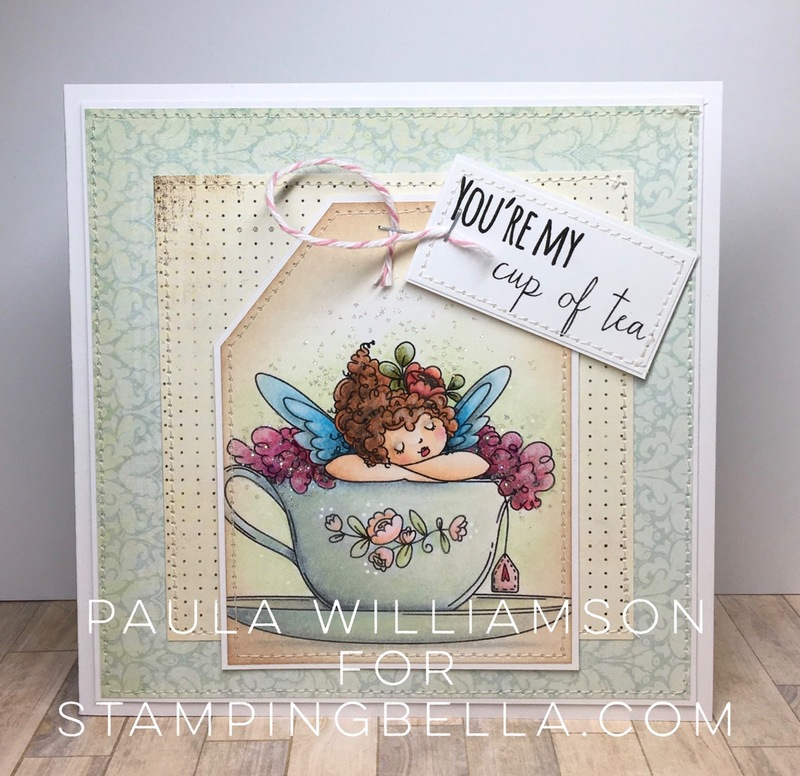 I love the materials that stampingbell make available, so many different stamps that make card-making so much fun. I am so excited about the new ones and really look forward to ordering them. Thanks for these great designs. So many fun images and gabby projects by the team- love them!!! Tea or not, a gal needs her chocolate. lol. 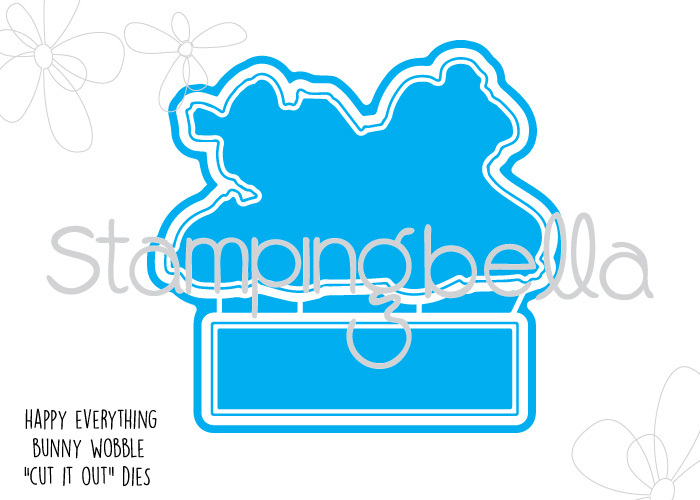 Can’t wait to get my hands on these new stamp set, they are too stinking cute. just when i think it can’t get any cuter, it DOES!!! Oh! 3 squeals and a little jig, cyber-style, coming at ya! My fave is Lilac – think it is the sentiment that sealed the deal. Lovely all. I can’t even! These are all so cute, can’t wait to get my hands on them. That lilac girl, it’s my favorite scent it the sping. Everything is awesome !!! Love,love,love !! I’m so glad you brought back the girls with flowers !! Tiny Townie Lilac is beautiful. Great job with this new release !!! I love all your stamps, but your designing team is amazing, the cards are lovely! OMG, How much room do I have to make for so many new stamps?? I want all of them. I can’t even!!! Squid guy is just too adorable for words… who wouldn’t line up for one of her kisses!!! And I think a cup of tea is just what the doctor ordered for Edna! And Edna stamps are just what the doctor ordered for ME!!!!! And then there’s my favorite Tiny Townie Lilac… brilliant! And I just love all the sentiments to choose from for our flower girls. CAnt wait to own them all!!! Oh my word!!! These are all adorable!! 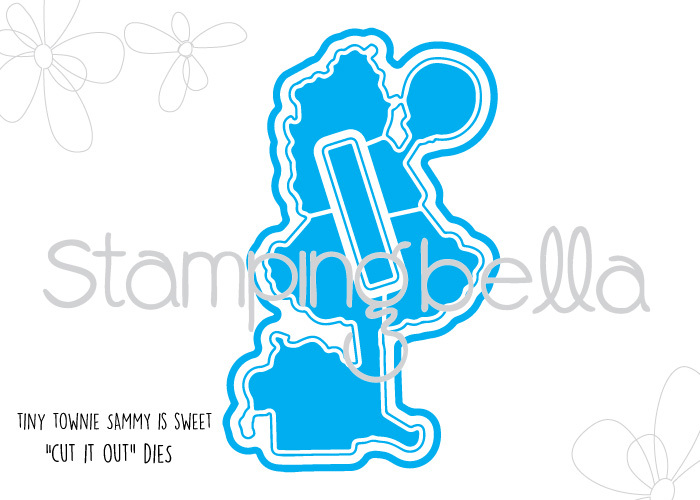 LOVE the SAMMY IS SWEET and Happy Everything Bunny wobble stamps! Sammy is Sweet is just so CUTE!!! These are all fabulous esp that lilac and the cupcake! ! Love them! Fabulous new release! 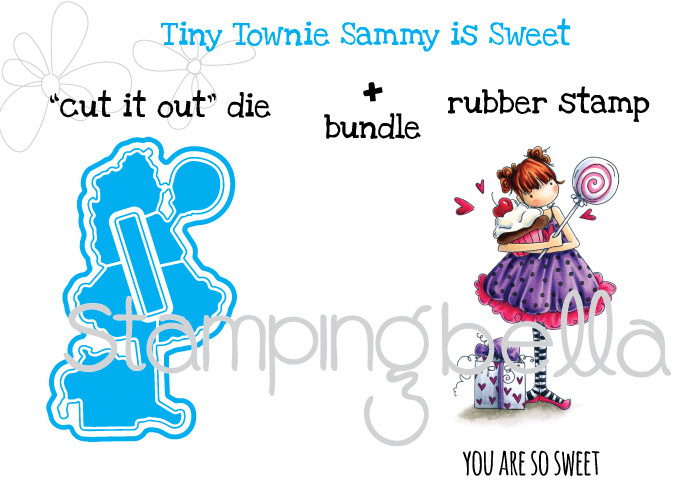 I totally love the Tiny Townie Lilac Girlie and the Happy Everything Bunny Wobble! Sweet! There are so many adorable stamps in this post, I don’t even know where to begin lol. These projects are all so amazing! How can u choose? These are all adorable! Can’t wait to place my order! Edna is so precious. 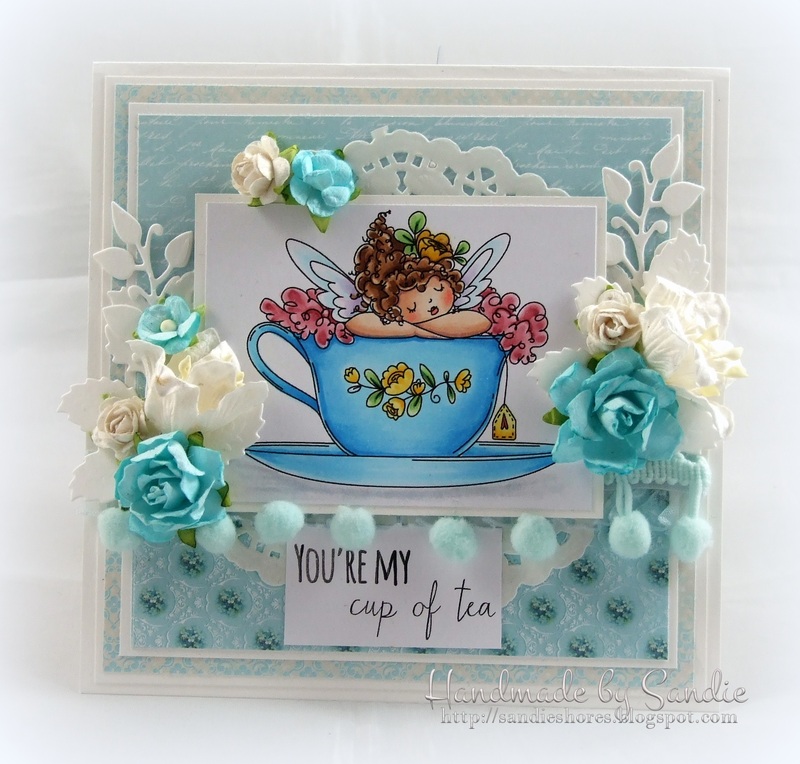 Can’t wait to purchase “You’re my cup of tea.” I’m a pushover for all things tea! So far, this is a great sneak-peek! All I can say is WOW…WOW….WOW…..!!!!! I fell in love with Edna. She made me want a cup of tea. Lol. All of the other stamps are too cute too. WOW, This one had so much I could barely keep up. I LOVED them ALL. SQUIDGY is my favorite I think, not sure because I just really for once think I loved them all so so much. Those Galentines, I mean, how cool were they??? Love,Love… them. I just really can’t wait for this release to be able to be purchased, I got to start coloring these. Aww… More awesome stuff! I think the Galentines one is my favorite!! So fun! Okay, the squidgy line is so cut. Love the kissing booth! 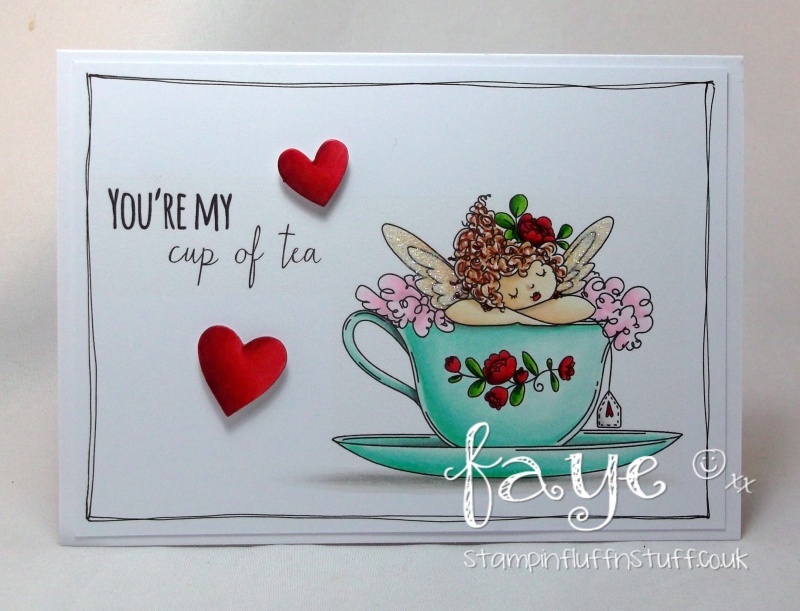 You’re my cup of tea….OMG. It’s just perfect. Love them all. Great inspiration from all the ladies. Thanks for sharing. Sammy is so sweet and adorable too. Love new stamps!! Beautiful! Cannot wait more to have them in my hands! Stunning! Thanks for the giveaway! My goodness they all look Wonderful! Thanks for the chance. This is another wonderful day of products! All of the stamps are so sweet, it’s impossible to pick a favorite! Sleepy Edna with her tea cup is definitely close to the top of the list, though, for sure!! Wow! What a release! so many sweet images – I love them all! i love up town girls and tiny townies, so this release is AMAZING !!! 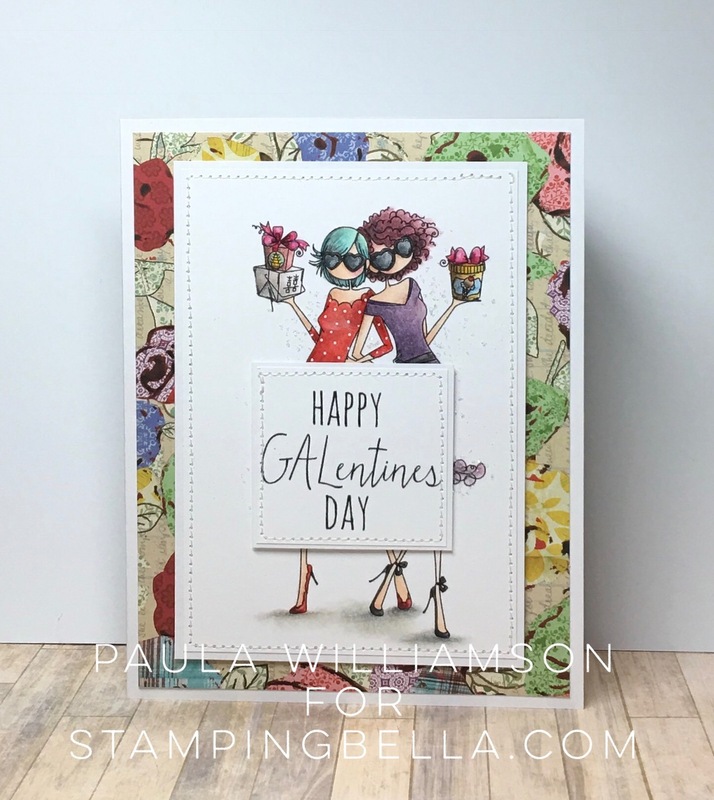 I just love these, especially the GALENTINE Gals!